After a busy few weeks at work, it is time for my holiday in Ireland. 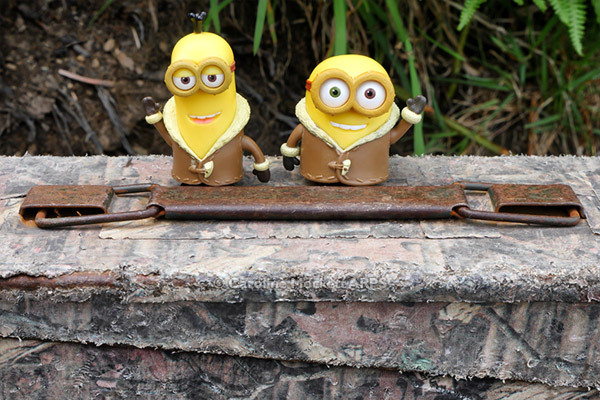 Kevin and Bob won the Minions’ ballot to come with me. We were searching out Irish Treasure – the oldest Geocache in Europe! It’s been hidden on a clifftop near Bray since June 2000. There are now more than a dozen types of geocache, but this is one of the first kind, perfect for Topic 46 – Tradition or Traditional. 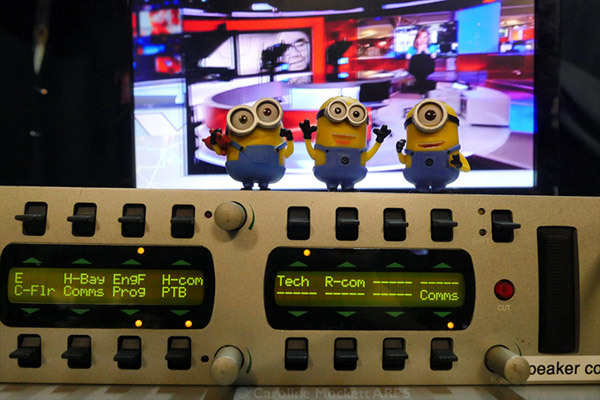 Minions 52 – On The Telly! I arrived at work today to hear muttering and giggling coming from my bag. 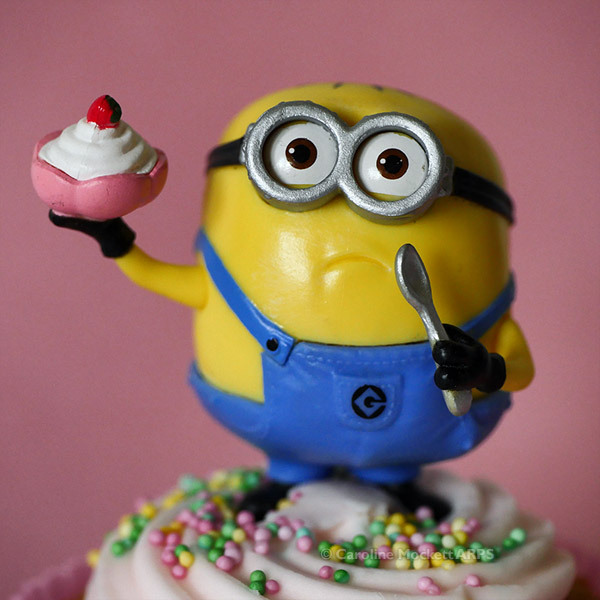 That sort of malarkey is usually Minion-related, and I wasn’t wrong. 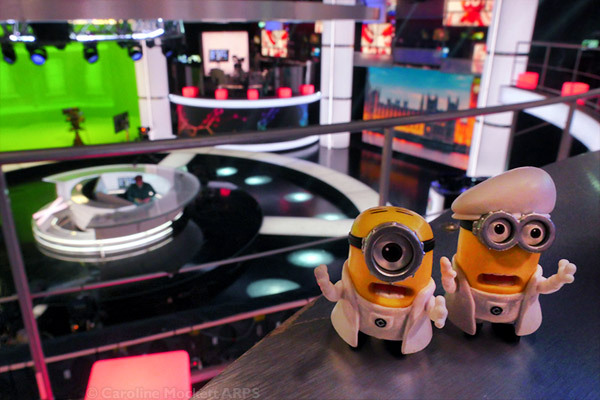 Before I could stop them, a couple of the Singing Minions had escaped and were off exploring the Election studio. I eventually caught them high on the gallery, having a sing. They insisted the acoustics were better up there. But they got told off by the Floor Manager and had to come down at once! 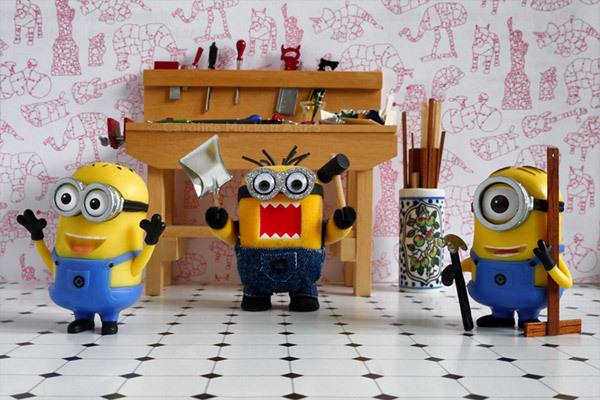 Oh well, it’s a shot in the bag for Topic 18 – Work.